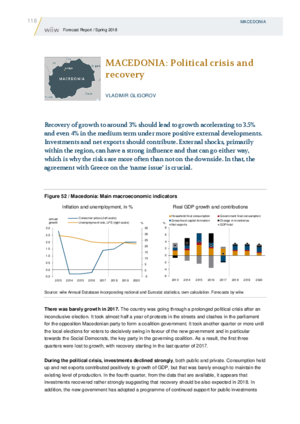 Recovery of growth to around 3% should lead to growth accelerating to 3.5% and even 4% in the medium term under more positive external developments. Investments and net exports should contribute. External shocks, primarily within the region, can have a strong influence and that can go either way, which is why the risks are more often than not on the downside. In that, the agreement with Greece on the ‘name issue’ is crucial.